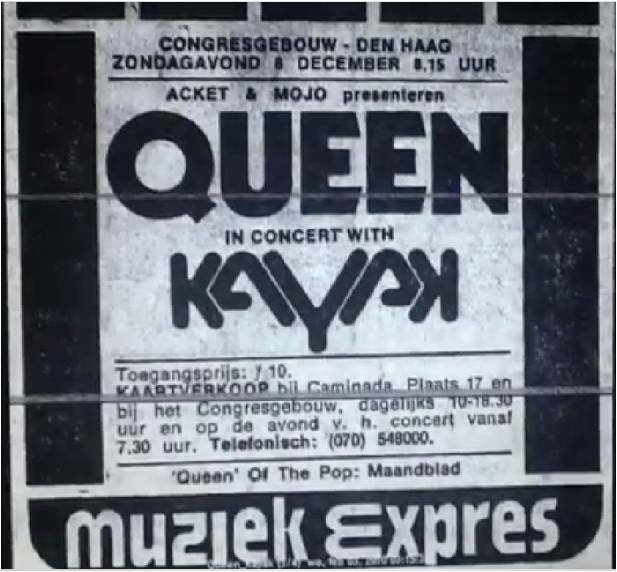 On 8 december 1974, British rockband Queen -my alltime favourite band, by the way- played at the Congresgebouw in The Hague, Holland. 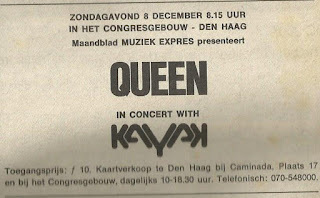 Kayak were support act (although some people say it was in fact a 'combi-concert', organised by EMI Records). Road manager at the time was Hans Kloes. 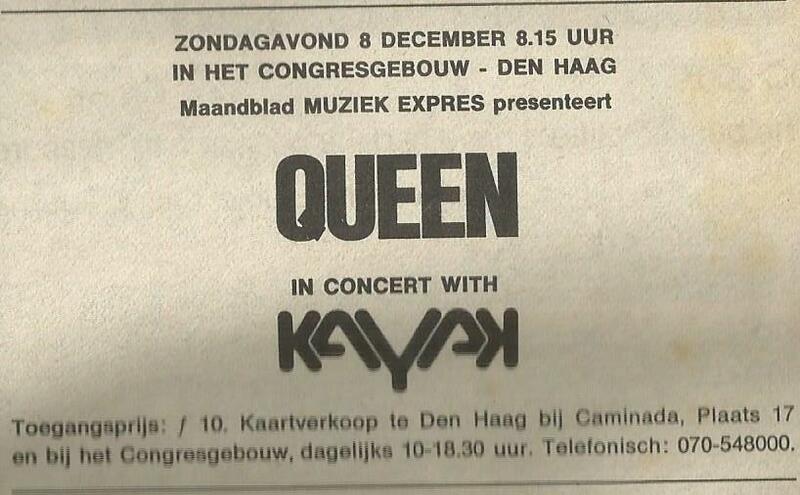 He recalls a bit of commotion about Kayak using Queen's PA or not. In the end, Kayak played with their own equipment, and they were quite satisfied with the sound. 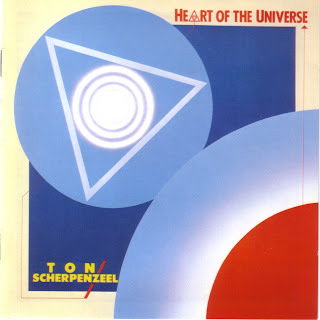 As a solo-artist, Ton Scherpenzeel made 3 albums. 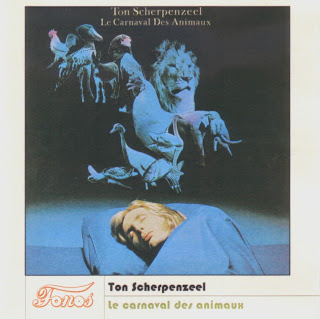 The first one was "Le Carnaval Des Animaux", in 1978. This was an adaption of the famous classical piece by Camille Saint-Saëns. 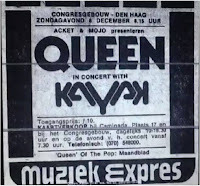 On this album he was assisted by (amongst others) Theo de Jong on bass and Max Werner on drums. The original LP was released by Ariola Records. Years later, www.fonos.nl took care of a re-release on CD. 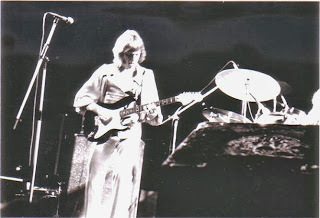 In 1984, Ton was a member of British band Camel. For his second solo album "Heart Of The Universe" he worked with singer Chris Rainbow (Camel, Alan Parsons Project), and Camel-guitarist Andy Latimer played on one track. The original LP and CD were released by CNR Records. The CD has been unavailable for years, but some time ago Ton re-released it independently. 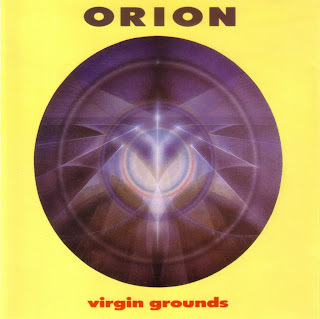 Under the pseudonym "Orion", Ton released an instrumental CD called "Virgin Grounds" in 1991. The music on this CD was composed for a TV documentary called "Conquer The Arctic".